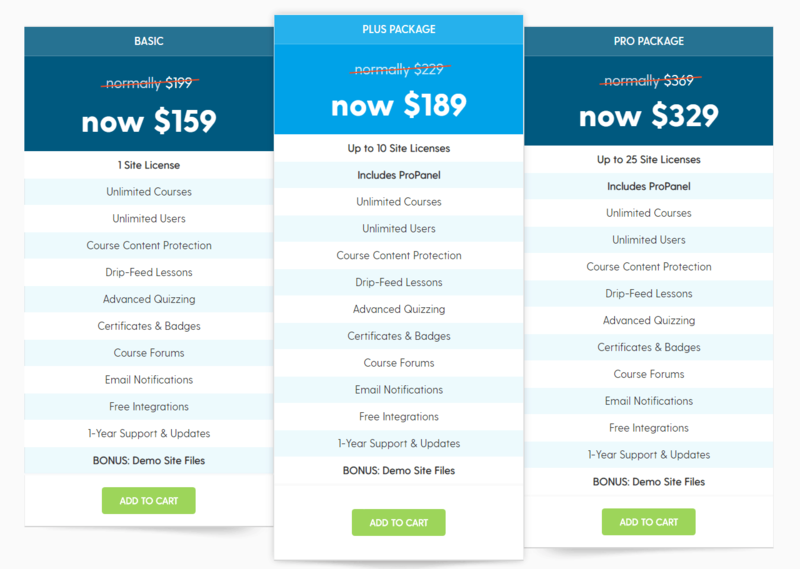 One of the reasons why I decided to write this post was that I was doing some Learning Management System (LMS) research recently and when I went to update myself at the Kajabi’ website I noticed that they have increased their prices. They used to offer over three price levels and now one level has been dropped. To me this great example on why Online Course builders should really consider using WordPress. I also recently talked to Chris Badget, CEO of LifterLMS, and he told me that his support team gets calls almost every day from people who are totally frustrated with their Software as a Service (SaaS) Learning Management Systems and they want to know how they can move their course to WordPress or wish they could move back to WordPress! Many of these SaaS solution providers are really good at promoting the benefits of their individual systems, and there are some real benefits to using one of these hosted membership systems. However, when it comes to the other side of dealing with challenges and problems you don’t hear much from them! Whether you’re a first-time online course instructor looking for tools to help you sell courses or a seasoned instructor thinking of moving away from platforms like Udemy and Coursera, you’ll need to find an LMS that’s right for your business needs. But before you can explore LMSs, you’ll have to decide whether to go for a WordPress LMS or a hosted LMS solution. In this article, we’ll explore the factors you need to consider when deciding between WordPress LMS vs. hosted LMS solutions. We’ll take a closer look at the customization, ease of use, features, extend-ability, documentation, support and cost you can expect from each solution. WordPress LMS solutions are generally available as plugins that you install to your WordPress website. Once you purchase a license, you can install and activate the plugin to your WordPress-based website and begin adding your courses to it right away. Since WordPress is a self-hosted platform, you have complete control over your online course website’s appearance, the functionality it offers, and how you choose to run your business. Examples: LearnDash and LifterLMS are popular WordPress LMS solutions. Hosted LMS solutions, on the other hand, are generally specialized offerings that offer limited features. In addition to this, hosted LMS solutions don’t give you complete control over your online course website. What this means is that you have to follow the platform’s rules in order to keep using the platform. If you don’t follow the platform’s terms, you could risk losing your content. Examples: Teachable, Kajabi and Edmodo are hosted LMS solutions. Both WordPress LMS solutions and hosted LMS solutions are excellent solutions for anyone who’s looking to sell online courses. In this section, we’ll do a quick rundown of the main factors you need to consider when picking an LMS to help you make an informed decision. Creating and managing an online course is hard work which is why it’s important that the LMS you go for is incredibly easy to use. WordPress is a content management system which inherently makes it a great platform for using a LMS to create and manage online courses. Most WordPress LMS solutions work seamlessly with just about every WordPress theme. This makes it easy for the course instructor to make their website look the way they want. WordPress LMS solutions generally have smooth learning curves and are easy to get started with – especially for someone who’s used WordPress in the past. Most hosted LMS solutions you’ll come across will have a drag and drop course builder that makes it easy to get started. What’s more is that these platforms usually have intuitive user interfaces. However, customization options are limited. For this reason, you’ll need to have some understanding of web development to achieve the right look and feel for your website. Otherwise, your online course site would look similar to others created on the same platform. 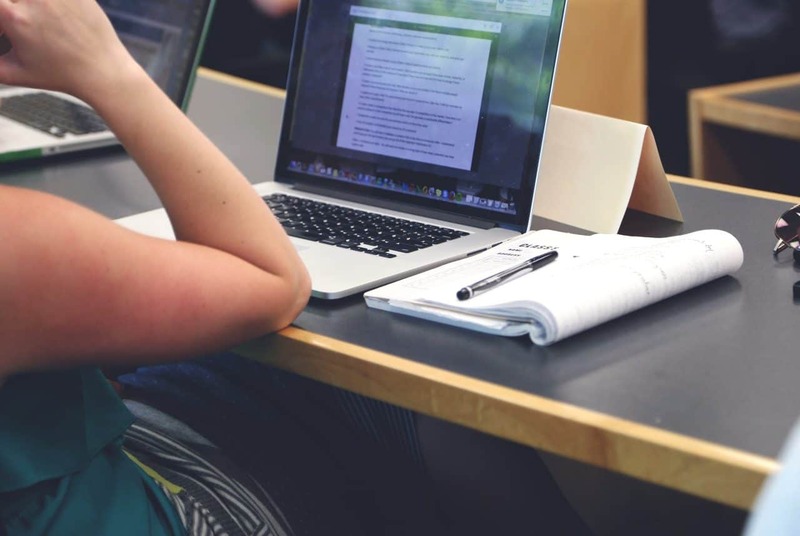 As an online course instructor, there are some features that your LMS must have. These include creating a basic course, quizzes and assignments, progress trackers, analytics, and a payment system. Premium WordPress LMS offerings – like LearnDash and LifterLMS– offer a number of features with the core plugin. These features can be sorted under four main categories including courses, monetization, administration and tech. LearnDash, for instance, comes with an intelligent course builder, quizzing, lesson timers, prerequisites, dynamic forums, and much more right out of the box. In addition to this, it is easy to set up different types of payment options such as one-time purchases, subscriptions, course bundles and memberships. Simply put, WordPress LMS solutions are generally considered to be all-in-one solutions. Hosted LMS solutions like Teachable offer a number of powerful features that make it easy to create courses and market them. The platform features a number of learning tools including quizzes, discussion forums and course completion certificates out of the box. In addition to this it comes with a variety of marketing tools that allow course instructors to offer coupons and promotional offers, advanced pricing options, and affiliate programs. It also comes with built-in sales pages so you don’t have to design and develop custom pages. When you’re launching your first course, the core feature set you get with your LMS should be enough to get you started. However, when things start to take off, you might need to leverage advanced features to deliver value to your students. When it comes to extend-ability, WordPress is the clear winner. As of this writing, the WordPress Plugin Directory contains over 55,000 plugins that you can use with your WordPress LMS-based website for advanced functionality. What’s more is that premium WordPress LMS solutions usually offer free and premium third-party integrations (which aren’t necessarily WordPress plugins) that are supported by the platform. 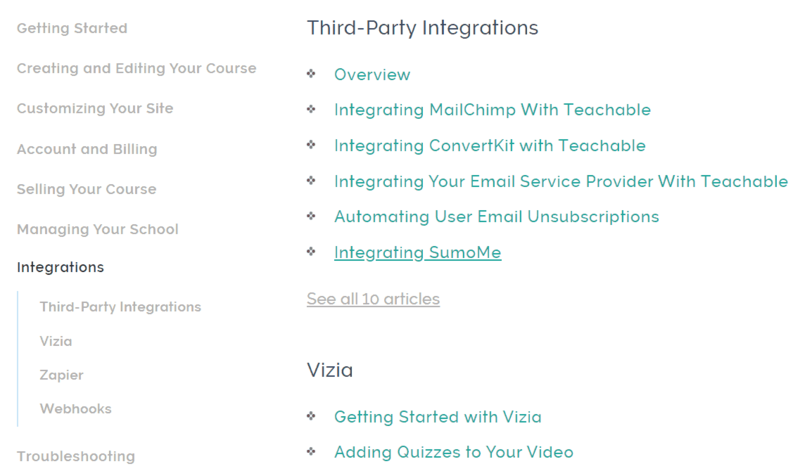 LearnDash, for example, integrates seamlessly with over 30 extensions including Stripe, Zapier, and MailChimp. Hosted LMS platforms like Edmodo offer APIs that you can use to extend the core functionality however you’d like by developing custom solutions. If you’re not programming literate, you’ll have to hire developers to do this for you. 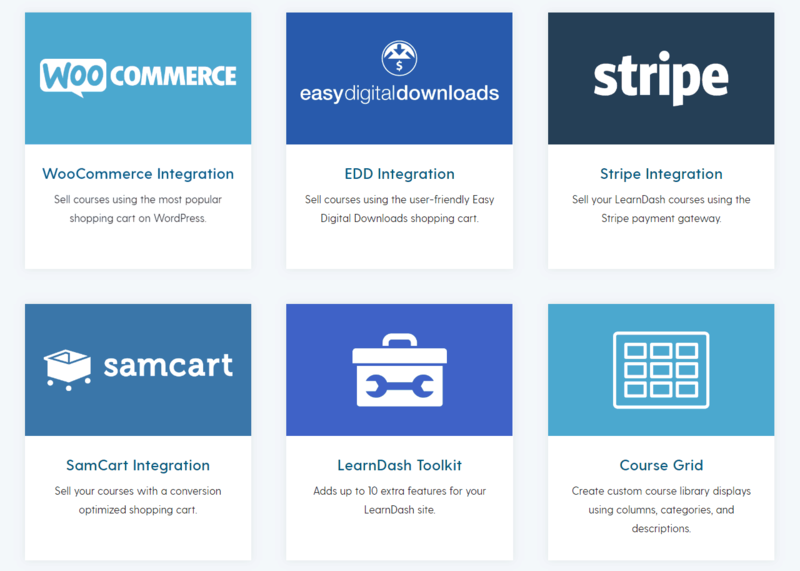 Other hosted LMS platforms – such as Teachable – support a number of integrations with third-party services like Google Analytics, MailChimp, Zapier, ConvertKit, and more. 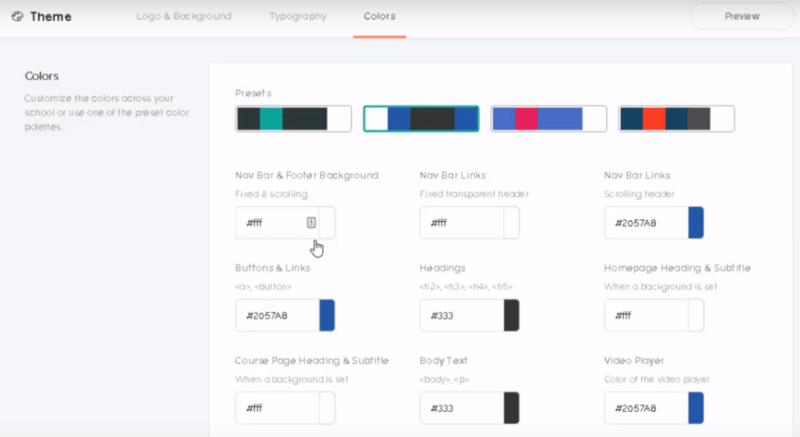 In addition to this, it also gives you the option to add quizzes, polls, and call to actions to videos via Vizia and extend its core functionality using web hooks. As an online business owner, you should always opt for software that comes with a complete set of documentation and support from the developers – especially if it’s your first time using it. Most WordPress LMS solutions come with proper documentation and support from the developers. LearnDash, for example, has a dedicated support site that users can log into to access screencasts, FAQs, the LearnDash knowledge base, and much more. In addition to this, the developers behind the popular LMS also offer support through multiple channels including by phone, email and submitting a ticket. 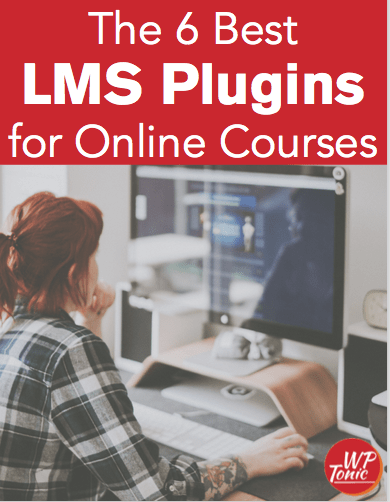 Hosted LMS solutions come with a complete set of documentation and support to help you get started, troubleshoot your installation, and access tutorials. Teachable, for instance, has a dedicated support center that you can use to browse their knowledge libraries. 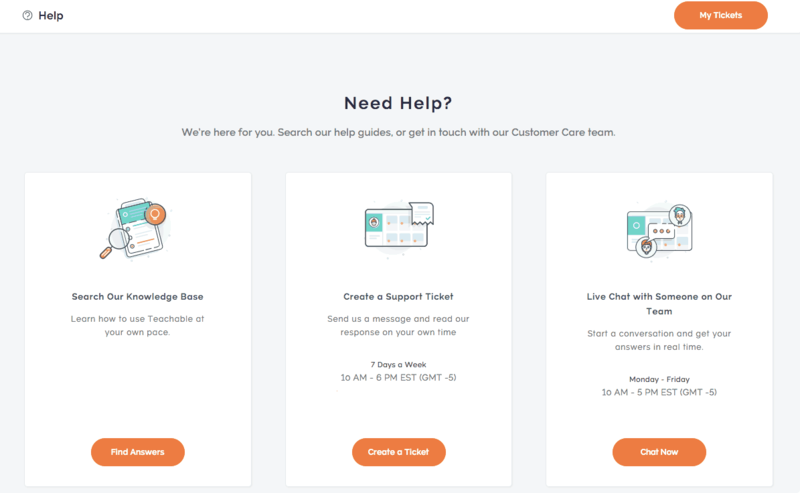 They also offer a number of support channels (including live chat and support tickets) that users can access by logging into their accounts. As an online business owner, it’s important to know how much cost you’ll incur for selling online courses through your LMS solution. As we mentioned above, WordPress LMS solutions are available as plugins that you install to your WordPress website. 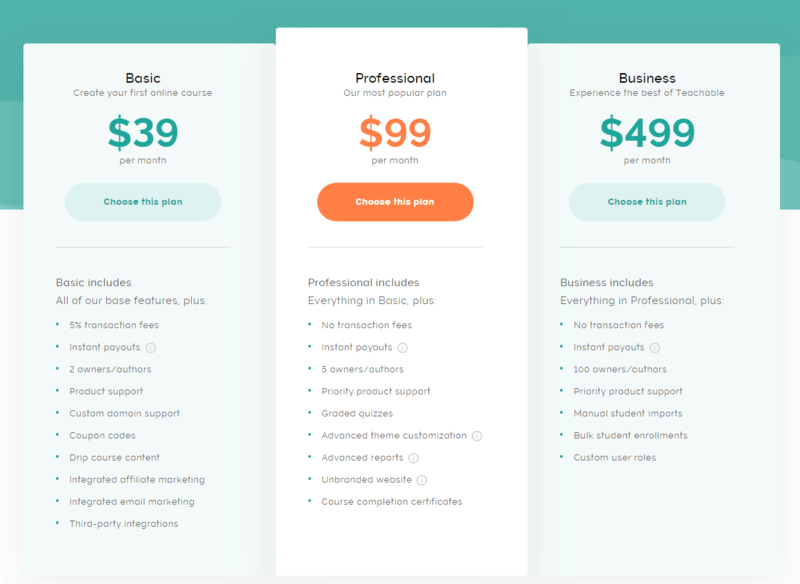 Solutions like LearnDash offer tiered pricing plans depending on how many plugin licenses you’d like to get access to. A single site license from LearnDash will run you a one-time cost of $159. 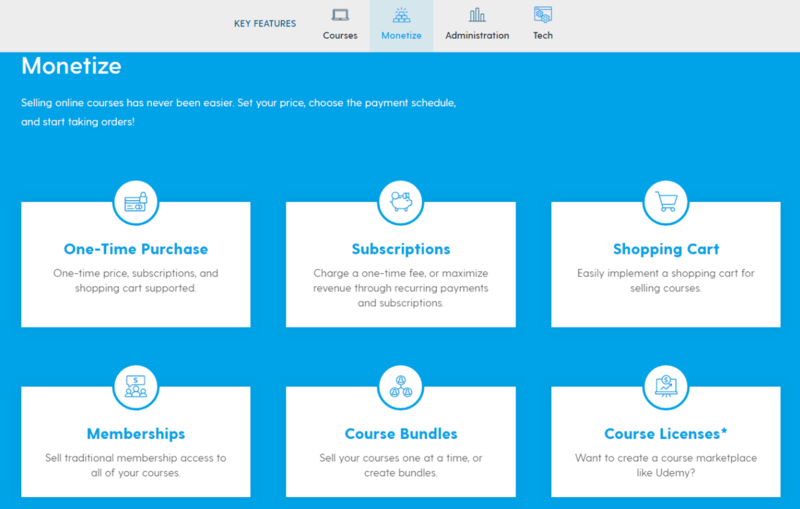 It comes with the option to create unlimited courses for unlimited users as well as support and updates for one year. Keep in mind that hosting your WordPress LMS website and any premium themes or plugins you use with it will cost you extra. With hosted LMS solutions, you’ll pay for a monthly subscription for the software and for hosting your site. The Basic plan on Teachable will cost you $39 per month and supports up to two authors. In addition to this, you’ll be charged a 5% fee for each transaction. The plan comes with unlimited video, courses, students, and hosting in addition to an integrated payment processing system. Choosing between a WordPress LMS and hosted LMS solution can be difficult. Both are viable options for setting up and selling your online course. That said, WordPress LMS solutions outperform most hosted LMS offerings in the customization, ease of use, features, extend-ability, and cost departments. If you’d like to have full control over your site’s look and feel, we’d recommend going with a WordPress LMS. Plugins like LearnDash work seamlessly with most WordPress themes right out of the box. For those of you who’d simply like to have access to basic course creation and marketing features that work out of the box, hosted LMS solutions like Teachable might be worth exploring. WordPress LMS solutions will give you the most bang for your buck,though you will have to spend some time finding the right hosting provider and theme for your online course website. Between WordPress learning management system solutions and hosted learning management system solutions, which solution are you thinking of trying out and why? Share your thoughts in the comments section below!